The 2019 State Legislative Session began on January 9 and will end on June 5. In we have retained theservices of Hughes and Cronin Public Affairs Strategies to monitor legislation related to the antique auto hobby, as we have done in previous sessions. In this monitoring capacity, Hughes and Cronin informs us of the pending legislation. We report to you on any legislation potentially impacting the hobby, and ask you to contact your legislators and help get favorable legislation passed, and unfavorable legislation defeated (i.e., a "grass roots" approach). The table included in this newsletter summarizes the current status of bills related to the hobby and other transportation related matters of interest that have been introduced in the legislative session to date (March 22, 2019). In this table I have identified two bills in bold text that we have provided written publichearing testimony on. At the February 4th Business Meeting, we discussed House Bill 6973 which proposes that number plates only be required on the rear of motor vehicles when no adequate mounting place exists on the front of the vehicle. This would be of benefit to some hobby vehicles, and as I understand it, certain modern motor vehicles. A Public Hearing on this bill took place on this bill on February 13th. On behalf of the 4C’s I submitted written testimony in favor of this bill. I did receive some feedback that the police were not infavor of this bill, so it is not clear whether this bill will advance in this legislative session. The second bill, which, depending on the details on how the bill will be implemented (those details are not available at this time) may or may not be adverse to the hobby, is Senate Bill 431 “An Act Concerning Property Tax Reform. This (Senator Martin Looney’s (New Haven)) bill that I had mentioned in the last newsletter based on news reports. In this bill, among other things, Senator Looney has proposed to introduce legislation concerning a state wide tax on motor vehicles. He is proposing repeal of the local property tax on vehicles, with a new statewide vehicular tax of between 15 and 19 mills. He is also proposing a new one-mill statewide tax — $1 on each$1,000 of value — on real estate with revenue going into a fund for reimbursing towns and cities that host tax-free institutions such as colleges, state buildings and hospitals (i.e., Payment in Lieu of Taxes, or PILOT), and education grants. A public hearing on Senate Bill 431 was held on March 15. In our written testimony, the 4C’s did not take a position on repeal of the local property tax on motor vehicles and enactment of a state wide motorvehicle tax. We will let the other affected parties provide input to whether the concept should proceed or not. Recognizing that this is an issue that Governor Lamont expressed interest in during his campaign, this concept of a state wide motor vehicle tax may advance, with the implementation details to be developed later in this legislative session. • Antique auto hobbyists in the state maintain modern motor vehicles that are used as daily transportation. As such, antique auto hobbyists will continue to pay their fair share of property tax on their modern motor-vehicles. • By sponsoring several car shows and cruise nights throughout the spring, summer and fall, the antique auto hobby benefits many local charities,organizations and businesses throughout the state,and provides a positive benefit to the ommunity,including supporting the movie industry. Elimination of the current Section 12-71(b) provision would result in antique auto hobbyists being excessively taxed when compared to other hobbies in the state. • The antique auto hobby supports several businesses in the state that are vital to restoring and maintaining our vehicles. Eliminating thecurrent Section 12-71(b) provision would negatively impact those businesses. • With the current Section 12-71(b) provision,the current Section 12-71(b) provision,property taxes on antique, rare or special interest motor vehicles in Connecticut are in alignment with our surrounding states. Eliminating that provision would result in the taxes on antique motor vehicles in Connecticut that are higher than Rhode Island, Massachusetts or New York. The negative impact on the antique auto hobby in Connecticut would be severe if a state-wide motor vehicle tax is implemented without maintaining the current Section 12-71(b) provision. 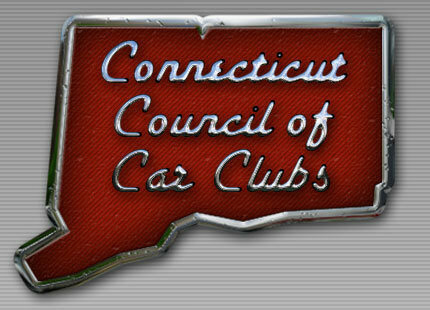 The 4C’s respectfully requests that the current provisions of Section 12-71(b) of the General Statutes related to antique, rare or special interest vehicles be maintained in the event the General Assembly decides to move forward with the implementation of the statewide motor vehicle tax provision of Senate Bill 431. Should you have any questions on this issue, feel free to contact me. Again, the testimony did not take a position regarding whether a state-wide motor vehicle tax should or should not be enacted. However, if it is enacted it is very important that the current provisions of Section12-71(b) be maintained. Frankly at this point, we do not know whether the concept will move forward, or who behind the scenes will be developing the implementation details and whether our written testimony will be considered and Section 12-71(b) be maintained. On other issues in this session (as shown on the tablein this newsletter)* three bills on highway tolls, two on motorcycle helmets, and a bill on seatbelts for all passengers in a motor vehicle appear to be advancing The major challenge for Governor Ned Lamont and the General Assembly in this session will be dealing with the state’s continuing fiscal problems. Projections for future Connecticut budgets show that they will be running very large deficits. So the fiscal problems for the state are far from over, and will dominate this and future legislative sessions. In the table in this newsletter* I refer to Senate Bill 877. It is not adverse to the antique auto hobby but does propose several new sources of revenue, including the elimination of sales tax exemption on the trade in value of vehicles when purchasing another vehicle. On February 28 Governor Lamont has nominated a new Commissioner to head the Department of Motor Vehicles. Former Aetna computer executive Sibongile Magubane is expected to start as Commissioner-Designate on April 1. Her nomination will need confirmation by the General Assembly. Her skills may prove beneficial to DMV as the Governor has pledged to improve the state’s computer systems and make it easier to interact with DMV. Time will tell. Also, on March 14, former Representative Tony Guerrera was named new deputy commissioner at DMV. Tony was the former co-chairman of the Legislature’s Transportation Committee. His technical background on motor vehicle issues should be very helpful for the new commissioner. Regarding titles for motor vehicles as reported in previous newsletters, we have been waiting until the new DMV leadership is in place. At this point, we need to maintain our focus on the current legislative session and will pursue changes to the DMV regulations after the conclusion of the session.